Flip the pig for sedation free hoof and tusk trimming. It’s safe and easy! Once restrained safely, you can use a dremel tool or hoof trimming tool to shorten and shape the hoof. See hoof trimming article here. See tusk trimming article here. As a prey animal, pigs tend to panic when they are restrained or their feet are grabbed. Some pigs will allow their owners to maintain their hooves without restraint after lots of patience and desensitization. When this isn’t possible, and for pigs that do not allow feet maintenance, flipping the pig on their back will safely restrain them without harm. Some pigs will scream as they adjust to the feeling of not being in control. They are very much like a turtle on their back when restrained properly. There are several variations in how to flip the pig and how to restrain the pig once it is flipped. This depends on the person’s strength, the size of the pig, and the comfort level of the pig. Find what is most comfortable for you and your pig. Photos and videos of different setups and methods are shared below. To flip the pig, you can stand over their back with your legs on either side of their shoulders. Reach under their front legs with your hands around their body and lift up. As you lift, their back feet will shift forward. Now you can gently and slowly roll them back onto their spine. Another way to flip the pig onto its back for safe restraint is to relax the pig or wait for her to lay down. When she is laying on her side, grab the four legs and quickly roll them up towards the sky. Pigs bodies are very round and barrel like so it’s relatively easy to roll them this way when you can catch them off guard. If they know what you are up to they are likely to try wrestling their way out of your grip. One of the most comfortable options is to roll them back into your lap, or the lap of your partner so the pig is resting on the person’s legs. If the pig thrashes or wiggles you can raise your knees on either side of the pig’s shoulders or ribs to stabilize them. Another way to restrain a flipped pig is to stand over them with your legs pressed into their shoulders to stabilize them and prevent wiggling. Dr. Wilbers and Sharon demonstrate the two person trim with the pig rolled into a lap for comfortable restraint. The towel over the eyes is calming to pigs, very similar to the way you would cover a bird cage or animal cage to limit the stimulation that increases their panic. 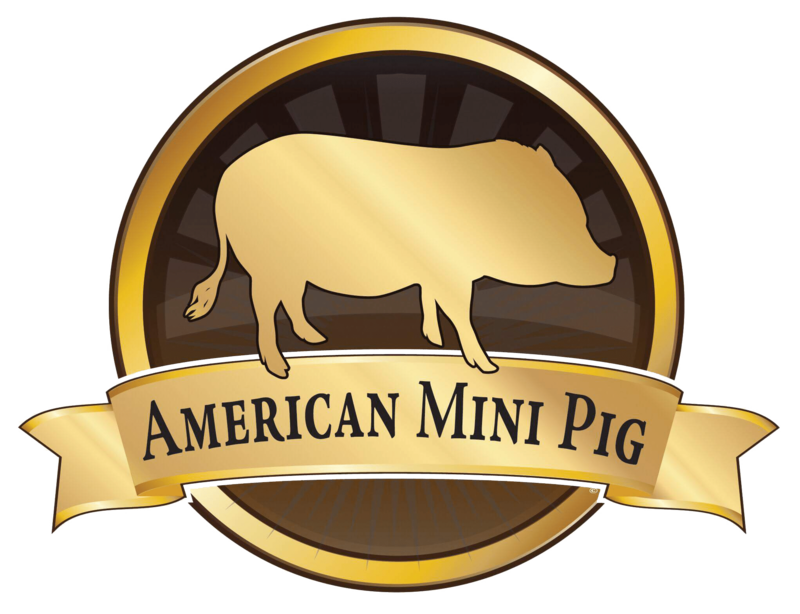 Dr. Wilbers specializes in mini pigs at Quakertown Veterinary Hospital in Pennsylvania. A favorite way to restrain a flipped pig is with a restraint device. Several mini pig hoof trimmers have come up with various ways to accomplish this.Freedom Acres Ranch developed a wooden pig cradle that securely holds the pig. Several other hoof trimmers and owners have created similar designs based on this original. The wooden cradle with padding for the pig’s comfort would be layed flat on the ground, the pig flipped onto their back in the middle of the cradle, and then the sides folded up around the pig can be secured at the top with cargo straps or a chain that clips from one side to the other.